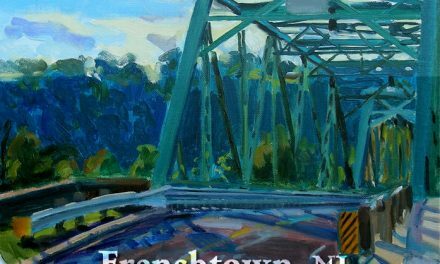 Spring is unfolding along the Delaware and Frenchtown is celebrating the blooming of the season with gallery openings, walking tours, films and community gatherings. *The SFA Gallery on Bridge street is hosting the opening celebration on Saturday, April 6th for “Interior/Exterior” recent paintings by husband and wife team George Thompson and Emily Thompson. *Catherine Lent Design is offering a variety of classes this spring beginning with Social Media for Creatives on March 28th. This class is for the entrepreneur, small business owner, artist or maker who feels unsure of what platforms to use, how to post, and why and when hashtags matter. * Frenchtown Walking Tours with local historian, Rick Epstein, kick off on April 13th with a 10:00am Downtown Tour and 2:00pm Cemetery Tour; each tour costs $15; call 908-200-0480 or email RickEpstein@yahoo.com to RSVP or for a complete list of spring tours or visit Frenchtown Walking Tours on Facebook. *The Spinnery on Race Street is offering fun and informative classes in magic loop knitting, lace knitting, needle felting, tapestry, spinning and natural dyeing throughout April; details at 908-996-9004. *Frenchtown Parks and Recreation will host its annual parks clean up on Saturday, April 27th at 9:00am. Meet up at Frenchtown Borough Park. More information at Frenchtownboro.com. 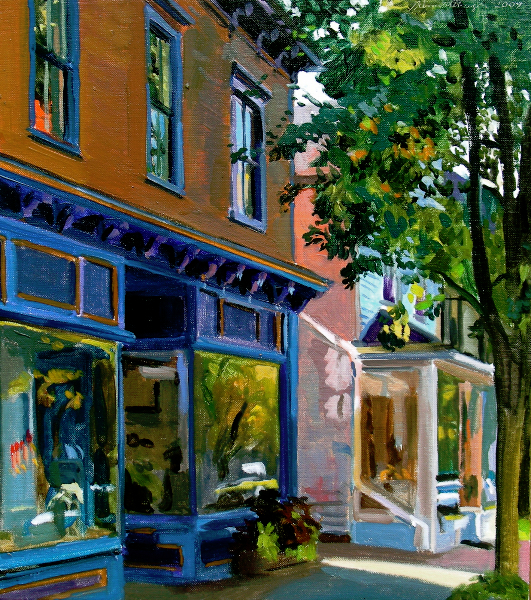 *Celebrating its 3rd year, The Hunterdon Art Tour better known as THAT Open Studio Tour kicks off on Friday, May 3rd with a group showcase of all participating artists at the Hunterdon Art Museum in Clinton. This year Frenchtown will be a major stop on the map – with many local studios open as well as the Cinco de Madre Mother Love Art Market at 2 Kingwood Ave. Curated by artists’ Catherine Lent and Joe work from 20+ artists and makers will be featured in a backyard along the creek. Part of the Hunterdon Art tour, this gathering is conveniently all around Joe’s studio, which will be housing the first First Friday show! The SFA Gallery will host an weekend-long open house featuring recent work of owner John Schmidtberger and ArtYard will host a screening of the 1973 classic film Paper Moon on May 4th. Visit artyard.org for details and exhibit information. *Lacy Phelps, Financial Advisor, is celebrating the opening of her Edward Jones office, located at 7 Kingwood Avenue, between Napoli’s Pizza and Frenchtown Home and Hardware. The Grand Opening is Friday April 26th from 6-8pm. All are welcome! Fun, music and appetizers will be provided. Entertainment will be onsite including an Art Showing from the work of John Schmidtberger, Corrine Lalin, and Ellen Sapienza. BRING THE KIDS as this will be fun for the entire family. Ribbon cutting will take place at 7pm. *Spring may be in full swing but parents busy planning ahead for school and summer camp can visit Secret Garden Montessori on Thursday, March 28 and April 18th , from 9:00-11:00am. Secret Garden provides authentic Montessori education rooted in values of community, respect, self-reliance, individualized and experiential learning. The school offers ongoing enrollment in our school year and summer programs for children 18 months to 6 years old. We offer flexible scheduling with half/ full day, and extended care options. Financial assistance is available to qualified applicants. Registration is also open for the Secret Garden 2019 Summer Program, centered on the theme, Caring for Our Earth. Camp programs are offered for toddlers 18 months to 2.5 years old and children from 3-13 years old! Call 908-628-9639 to reserve a spot on an existing tour, schedule a private tour or sign up for summer camp. *Enjoy a weekend full of events celebrating FRENCHTOWN PRIDE May 17-19. Friday, May 17 – Fashion With a Twist! A Spring fashion show hosted by The Junto Emporium and Frenchtown Home and Hardware. This event will feature fashion, food and raise money for the Frenchtown Elementary School’s performing arts department. Tickets will be sold at The Junto Emporium. 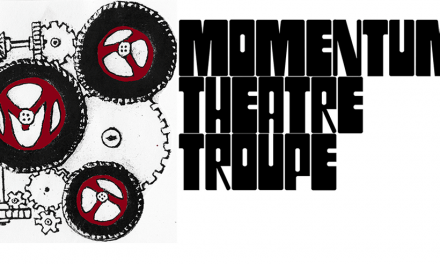 Sunday, May 19 – Frenchtown Pride Parade and Celebration! 11:00-3:00 in Sunbeam Park. The festivities kick off with an outdoor service led by Reverend Peter Mantel of the Frenchtown United Methodists Church, followed by a sidewalk parade, music, dancing, food, vendors and an opportunity to share your story via an interactive storyboard. Games and fun for the whole family are planned for this rainbow celebration! *Last but not least, The Frenchtown Business and Professional Association will be hosting its 2nd annual Spring Fling at ArtYard on Thursday, May 2nd from 6-8pm. Marc Saluk, Hunterdon County’s Economic Development Director, will discuss economic development as it pertains to the river towns and opportunities for partnership. Don’t miss out on the latest Frenchtown happenings this spring and throughout the year, visit www.lovefrenchtown.org and follow Love Frenchtown on Facebook and Instagram.